[Thursday, August 2, 2007] Ten years ago today was the first successful launch of the popular RocketCam(TM) video system onboard a Delta II rocket, launching NASA's Advanced Composition Explorer (ACE) spacecraft from Florida. [Friday, August 3, 2007] "The National Aeronautics and Space Administration shall be a full participant in any interagency effort to promote innovation and economic competitiveness ..."
[Friday, August 3, 2007] NASA has signed a $975 million contract extension with Pratt and Whitney Rocketdyne Inc., of Canoga Park, Calif., to maintain the agency's fleet of space shuttle main engines until the orbiter is retired in 2010. 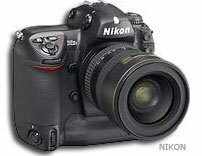 [Saturday, August 4, 2007] NASA has a requirement for 48 Nikon D2XS SLR Digital Cameras. The cameras must be lubricated with Braycote lubricating grease which is approved for spaceflight during the manufacturing process. [Monday, August 6, 2007] For the first time, people around the world can view 3-D images of the space shuttle Endeavour and surrounding buildings at the Kennedy Space Center in Florida before it launches into space, through a collaboration between Microsoft Corp. and NASA. [Monday, August 6, 2007] Optech lidar technology has been successfully launched toward Mars aboard NASA's Phoenix Mars Lander. [Monday, August 6, 2007] According to a short statement from NASA PAO to NASAWatch.com/SpaceRef.com - one corroborated with ESMD Deputy AA Doug Cooke): "NASA has not abandoned the concept of land re-entries. The decision has not been made." [Monday, August 6, 2007] This RFP is for the construction of the Constellation CLV ML. This acquisition will be conducted as a negotiated full and open competition. [Tuesday, August 7, 2007] "We are asking that you use the Core Message: "NASA explores for answers that power our future," in the text of your communications material and that it be used verbatim. " [Tuesday, August 7, 2007] NASA has issued a Request for Information soliciting ideas and feedback to help shape the plan to procure safe, cost effective, and reliable logistics services to the International Space Station and other payload launch services. [Thursday, August 9, 2007] Three Pratt & Whitney Rocketdyne Space Shuttle Main Engines, fitted with upgraded controllers to actively monitor engine health and performance, powered the launch of the Space Shuttle Endeavour from NASA's Kennedy Space Center today. [Thursday, August 9, 2007] Recently, NASA has been improving its workforce planning information technology matching program requirements with human capital resources. Some centers have been critical of the systems' performance, but others find these tools useful. [Saturday, August 11, 2007] The BSAT-3a broadcasting satellite, designed and built by Lockheed Martin for the Broadcasting Satellite System Corporation (B-SAT) of Japan, is ready for its scheduled launch on Aug. 14 aboard an Ariane 5-ECA launch vehiclee. [Saturday, August 11, 2007] SPACEHAB, Incorporated has received a letter from The NASDAQ Stock Market notifying the Company that it no longer complies with the NASDAQ independent director requirements. [Saturday, August 11, 2007] NASA has signed a $1.8 billion contract with Alliant Techsystems, known as ATK, located near Brigham City, Utah, for the design, development, testing, and evaluation of the first stage of the Ares I and Ares V launch vehicles. [Monday, August 13, 2007] NASA has issued a draft environmental impact statement on potential environmental impacts associated with the Constellation Program. [Wednesday, August 15, 2007] The National Aeronautics and Space Administration (NASA) plans to operate a share of U.S. accommodations on the International Space Station (ISS) as a national laboratory in accordance with the NASA Authorization Act of 2005. [Monday, August 20, 2007] Since GAO last reported on NASA's IEMP efforts, NASA implemented its IEMP contract management module and upgraded the software used for its core financial module. [Monday, August 20, 2007] NASA's FY 2006 budget of $16.6 billion included 199 earmarks with congressionally directed finding of $568.2 million or 3.4 percent of the Agency's budget. [Monday, August 20, 2007] NASA has selected Benham Constructors LLC of Oklahoma City to receive a contract to design, build and commission a vibration and acoustic test capability that will support development of the Orion crew exploration vehicle. [Tuesday, August 21, 2007] NASA will host a news conference at 4 p.m. EDT on Tuesday, Aug. 28, to announce the selection of a contractor for the upper stage element of the Ares I rocket that will help launch future human missions to the moon. »» XCOR Rockets onto Inc.'s "500 Fastest Growing Companies"
[Thursday, August 23, 2007] Like the rocket-powered aircraft it builds, XCOR Aerospace's business has taken off, earning it a spot on the prestigious Inc. 500 list of fastest growing private companies. [Thursday, August 23, 2007] NASA's Stennis Space Center broke ground Thursday for a new rocket engine test stand that will provide altitude testing for the J-2X engine. The engine will power the upper stages of NASA's Ares I and Ares V rockets. [Thursday, August 23, 2007] NASA, in coordination with NOAA's GOES-R Program, has awarded a contract to the Laboratory for Atmospheric and Space Physics at the University of Colorado, Boulder. The total estimated value is $92 million, including options. [Thursday, August 23, 2007] NASA and Internet Archive are partnering to scan, archive and manage the agency's vast collection of photographs, film and video. The imagery will be available through the Internet and free to the public, historians, scholars, students, and researchers. [Sunday, August 26, 2007] We have updated the Administration's research and development (R&D) priorities, which reflect input from both the President's Council of Advisors on Science and Technology (PCAST) and the National Science and Technology Council (NSTC). [Monday, August 27, 2007] SpaceDev announced today that it provided key hardware and instruments for the recently launched Mars Phoenix Lander, now on its way to Mars. [Tuesday, August 28, 2007] The Boeing Company has been awarded a NASA contract valued at approximately $514.7 million to produce the upper stage of the Ares I crew launch vehicle. [Wednesday, August 29, 2007] NASA/GSFC plans to issue a Draft Request for Proposal (DRFP) in August 2007 for the procurement of the R series of spacecraft for Geostationary Operational Environmental Satellites (GOES). [Thursday, August 30, 2007] From Oct. 19 to 21, more than 20 teams from across the nation and around the world will compete for a total of $1,000,000 from NASA for the development of cutting-edge technologies. [Thursday, August 30, 2007] The Eighth Continent Project, the world's most comprehensive program to integrate space technology and resources into the global economy, was launched here today at the Colorado School of Mines Center for Space Resources.